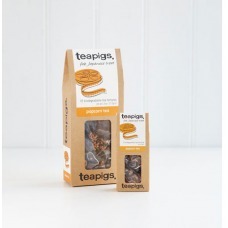 We have all heard of the benefits of drinking green tea but the lovely people at teapigs have taken tea a step further combining the benefits of green tea with a sense of fun, the highest quality ingredients, and of course great taste. The health reasons to drink teapigs aren’t just your standard reasons such as it’s good for detoxing or good for weight loss, but they have included an extra description that will help you decide which the best green tea for you is! It’s called the mood-o-meter and it lets you decide how you are feeling and then based on your mood, they will select a tea to match…Genius! Matcha Green tea (pictured left) has been a popular purchase amongst customers for many years and along with the benefits associated with drinking green tea, it tastes brilliant. It won the award for best slimming and fitness product in 2011 because it’s packed with antioxidants and nutrients that are good for your body.Perfect for when you are feeling bloated and slobby. it gives you the kick you need. You can drink it with a bit of water or some juice. One shot a day and you will start to feel better both on the inside and out! Popcorn tea (pictured right) is one of the best teas when you need a sweet treat. Imagine being at the cinema with a mouthful of popcorn, only without the guilt and calories that go with it! It has also been described as “Sugar Puffs in a cup” so it’s sweet and tasty, not something you hear most teas being described as! Popcorn tea was first introduced to the Japanese market because green tea was too expensive so grains of rice were added and this developed into the tea that is available on the market today! Jasmine tea is perfect when you really need to sit back and relax from the stresses and strains of everyday life. It is one of the most refreshing teas on the market and is very light. Like other green teas, it is great if you are detoxing as it is full of antioxidants, which help us all to stay healthy and looking young. Also try Wild Canadian Chaga Tea for detoxing. The green tea leaves are left amongst the jasmine flowers so they can pick up the scent and you can see how pure this tea is and it tastes great too. These are just three of the types of tea that are available from teapigs and they have some herbal teas available as well that look just as good! 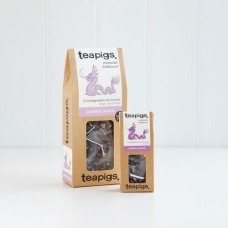 You can even make iced tea with teapigs. Take a look how in the below video. Great post guys. 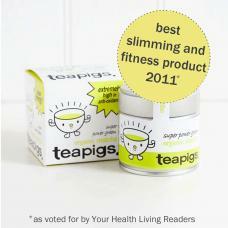 I have been a fan of and drank TeaPigs for quite a while now and love the green tea. It wasn’t until recently that I tried the Matcha and thought it was a fantastic product. Full of flavour and packed full of nutrients as you say. Have you tried the Peppermint range, great for an after dinner brew. Also the liquorice and peppermint is nice if you like a sweet kick to your tea.